How long does mail take to deliver? There is always an urgency associated to sending a mail, thus it is always important to know how long does a mail takes to deliver. From a longing of innumerable days to a click of a mouse, sending a message across miles have simplified over years. Yet whether to invite your friend on your birthday, to congratulate him on his anniversary, to send a job confirmation, to apply to university or to send money to your family members, the role of postal mails for communication is irrefutable till date. In the era of electronic communication, though e-mails seem an easy alternative to write it, envelope it, stamp it and post it, yet sometimes you cannot help but go back to the age old era of postal mails. What you need to know is how long does mail take to deliver? Sometimes owing to the urgency of your mail, postal mails might seem an improbable option, but knowing about the services and their respective duration might help you use the postal service to better benefits. How long does mail take to deliver would largely depend on the type of mail and the distance between the sender and the recipient. Where a regular first class mail would take around 3 days to reach, priority mail would just take 2 days and express mail would reach the recipient overnight. The express mail offers you a money back guarantee if not delivered on time. The price of express mail which depends on the size, type and shape of the mailed item includes free package pickup, signature proof of delivery and $ 100 insurance for the mailed items. The priority mail delivers your product in just two days with a confirmation of delivery to the sender. Again depending on the size of the parcel, the price ranges between $39.95 and $5.15. 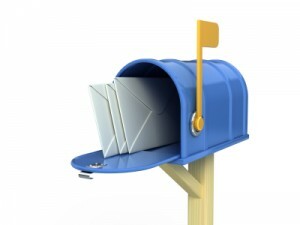 For personal purpose, bills and light merchandise, the first class mail is the right pick. The first class mails are delivered in 3 days and delivery confirmation can also be accessed with payment of some additional service charges. Other than the postal mails, the USPS also has provision for sending packages through parcel post services which is a convenient way of sending packages in a span of 2-8 days. Though this is not an advisable service for urgent items, hence the service can be used for sending heavy packages. The mail accommodates packages up to 130”. Discounts are offered on each if one opts for an online booking. For specialized materials like books or study materials, media mails option provides a viable option. The media mail has restrictions on the type of content and digital contents in form of CDs or DVDs are prohibited. The stipulated time for the respective mails is applied only for domestic mails and not for foreign mails or parcels. For the foreign postal services, how long does mail take to deliver is subjected to vary depending on the availability of transport. Otherwise the USPS also offers international services like the express mail international, the priority mail international and the first class mail international services which can decrease from usually how long a mail takes to deliver.